There’s no doubt that home security cameras are a great addition to a home security system. There are some really cool doorbell cameras that can tell you who’s at the door when you’re not home, a camera can help you keep an eye on the babysitter, and nearly every camera today is wireless, so they can be placed anywhere in your home. Cameras can make your home safer, but they aren’t necessarily as convenient as you may think. With so many different cameras and so many different providers, some cameras are definitely better than others, and in some cases, a camera may be more trouble than it’s worth, no matter which one you choose. The first thing to think about when considering whether you want to use a home security camera is how much it’s going to cost. In general, most home alarm systems don’t include a camera with their basic plan. You may end up paying $50, $100, or more to add a camera to your plan. You may end up paying a higher monthly fee as well. Unfortunately, some providers don’t have a camera option at all. In this case, you’ll have to pay for your home alarm system, then turn around and pay for a separate camera from another provider. In some cases, you may not be able to tie the camera into your system. That means you may end up paying two separate monthly fees with two separate providers who will be providing you with two separate services. Who’s keeping an eye on the camera? Not all cameras cost a fortune. Some home alarm systems encourage home security cameras as part of their plan by making them affordable, but then there’s the question of who’s keeping an eye on the camera. Your home security provider isn’t the one keeping tabs on the camera. Imagine how expensive it would be for everyone with a camera to have their very own personal security assistant watching the streaming video all the time! Instead, you’re primarily responsible for the footage on the camera. This works out great if you don’t mind checking in and getting notifications throughout the day. Using a camera is a great way to keep tabs on kids, pets, visitors, and contractors while you’re away. But, that can be a lot of work! If you don’t plan on using or checking in on the camera regularly, you may find it’s not worth the trouble of having one. This brings us to the fact that some families may not actually need a camera. If you live alone in an apartment with a cat, it’s hard to justify the expense of a camera when a basic system with sensors is enough to keep your home protected. In contrast, a large family living in a multi-story home in the suburbs may feel very differently. It’s important to think carefully about exactly what home security cameras can do for your family before you make the decision to add one to your plan. Can the camera be destroyed? Finally, it’s important to think about how easily the camera can be destroyed. Keeping tabs on the comings and goings of your family is great, but ultimately, a camera can help you identify an intruder. If that intruder can identify your camera first, it is likely to be destroyed, which makes having a camera absolutely useless. When shopping around for a camera, see if you can find one that doesn’t really look like a camera. If the camera does look a bit obvious, take the time to hide it in your home or attach it to a wall just out of reach. Home security cameras can absolutely be a great addition to a home security system, but only if you take the time to choose the one that’s right for your family. If you’re looking for a home security camera, but you want to make sure you purchase one that is as convenient for you and your family as possible, make sure you check out our comprehensive reviews. And remember — just because you don’t get a home security camera now doesn’t mean you can’t get one later. 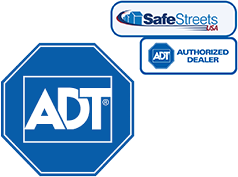 Most home alarm systems are happy to allow you to add home security cameras to your plan at any time!